Recently, the United States launched retaliatory strikes against Houthi rebels in Yemen in response to multiple cruise missile attacks aimed at U.S. warships. The American reaction to these attacks was in every way just, rational, measured, and appropriate in accordance with international norms. That said, the United States recently experienced another, arguably more egregious, attack from Russia in the form of cyber meddling in the 2016 presidential election. Though the outrage is quite clear, the outcries for retaliation are more muffled than perhaps they would be in the face of a conventional attack. A response is desired, but what it should be is uncertain. James Stavridis’ recent article in Foreign Policy advocates for a U.S. reply to this transgression, outlines initial steps, and suggests several possible actions. The Admiral’s stance that a U.S. response is required is quite correct, but there is potentially something bigger in play: the United States finally has a chance to respond. Unlike North Korea’s cyber assault on Sony or even Russia’s menacing attacks on Estonia and Georgia, this case presents a relatively clear-cut example of state-sponsored cyber aggression directed at the United States government. More importantly, Russia targeted the very bedrock of the American experiment: a fundamental democratic process that defines the Republic. Twenty-five years after his assassination, the need to fight for Niyogi’s goals and learn from his dedication is stronger than ever. Shankar Guha Niyogi was assassinated on September 28, 1991, when he was just 48. But even at that young age he had become a legendary figure. While he was adored like a brother and son by the iron ore miners and other workers of Chhattisgarh to whom he devoted his entire life, he also became perhaps the most talked about example of someone who could link trade union struggles to wider issues like peasant struggles, social reform, environmental protection and broad-based mobilisation for democratic change. Born in Jalpaiguri on February 14, 1943, Niyogi came to the steel town of Bhilai as a young man and soon became involved in the struggles of steel workers. He then began travelling to nearby villages in Chhattisgarh (then a part of Madhya Pradesh). It was then that he realised that the workers who were suffering the most, much more than regular workers at the steel plant, were the mostly local rural workers (many of them tribals) employed under the contract system for mining iron ore from the mines in Dalli-Rajhara. But before he could take forward the efforts to mobilise them, Emergency was announced and 32-year-old Niyogi, who by then had married Asha, a woman from a village in the region, was arrested. Is there malaise that ails the Indian media today? Yes, and the disease is in both print and visual media, which have undergone a transformation for the worse! Is it the downgrading of the political stance of our leaders; or is it the increased commercialisation of the society? In recent years, there has been a rising tide of concern about the troubled relationship between journalists, politicians, and the public. The core question revolves around who does, and who should, influence press coverage of public policy debates, and electoral campaigns. The answer has assumed more importance than ever, not just in India but even in countries as USA, which has recently witnessed a vitriolic presidential election, both in the print and visual media platforms. Obviously, the media has come a very long way since the days gone by. The impact of the media explosion on India’s public debates has been instant and far-reaching, leading many to ask, is it for the good or ill. The media has never had such a vast audience or readership. There has been a proliferation of TV channels, catering for all types of national, local, vernacular audiences. Similarly, there has been an equally massive footprint of newspaper titles, once again catering for readers spread far-and-wide within the country. The quality of the content has marginally improved, no doubt, but the public has also witnessed a plummeting of the ethical standards that were so visible many years ago, before the era of commercialisation. The impact of the media explosion on India’s public debates has been instant and far-reaching, leading many to ask, is it for the good or ill.
Pakistan-based non-state actors have an alarming ability to dictate the tenors of India-Pakistan relations. The September attack on the Indian army base at Uri in the state of Jammu and Kashmir by terrorists belonging to Lashkar-e-Taiba proved to be a defining moment for India-Pakistan relations, triggering the worst crisis between the two nuclear powers in decades. Having absorbed many such attacks in the past, the Indian Government chose to redraw the contours of the rules of engagement by conducting an unprecedented surgical strikes across the Line of Control (LoC) targeting half a dozen terrorist launch pads. What followed were not only increasing claims and counterclaims by the two sides, but also an extraordinary escalation of hostilities. The incidents of cross-LoC and cross-border gunfights, which had shown decreasing trends in the past decade, have not only become more frequent but also more militarily intense. Defense experts believe that such large scale gunfights have the potential to ignite a full-scale armed conflict between the two adversaries. 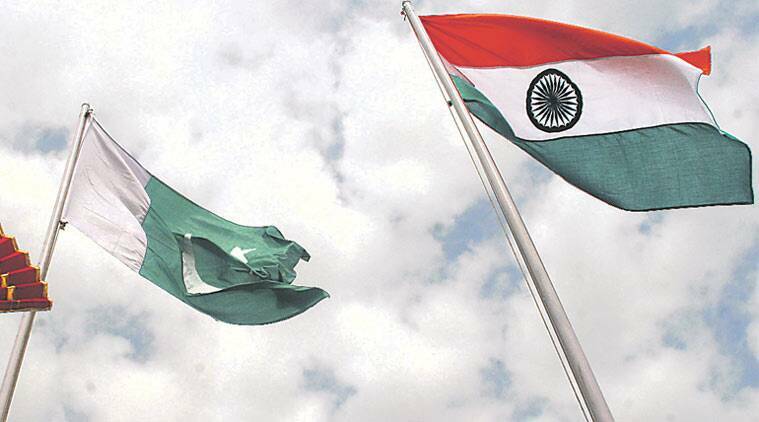 The Uri attack once again demonstrated the ability of Pakistan-based non-state actors to dictate bilateral engagements between New Delhi and Islamabad. A similar attack in January 2016 on another Indian army base at Pathankot by Jaish-e-Mohammad had refrozen relations after a temporary thaw, which came about after the surprise visit of Indian Prime Minister Narendra Modi to Pakistan in December last year. The Parliament Attacks of 2001 and the Mumbai Terror attacks of 2008 brought the two nuclear powers to the brink of an armed conflict. It is not unwise to assume that even a limited conventional conflict between India and Pakistan has the realistic potential of escalating into a nuclear exchange. Any such conflict would not only be detrimental for regional peace but also for global security. The risk of conflict between the two nuclear powers as a result of such terrorist actions is perhaps one of the most underappreciated threats to international peace and security. * China's Af-Pak Gameplans: Signals to incoming US Administration? China’s President Xi Jinping is seeking an early meeting with US President-elect Donald Trump. In his congratulatory message to Trump, Xi mentioned China’s keenness to move forward on a ‘new type of relationship’ with the US. Xi has also said that if US under Trump joins the Asian Infrastructure Investment Bank (AIIB), it would be good. Having concentrated power unto himself at par with — if not higher than — Mao Zedong, Xi is essentially playing at the businessman in Trump, concurrent to announcing creation of a multi-billion dollar investment fund for Central and Eastern Europe through an investment of $50 billion. But at the same time, Xi is acutely aware that Trump is likely to exert economic pressure on China. Xi is also fully aware of Trump’s views on terrorism. In a media interview in September 2015, Trump had said that the US should use India’s help to deal with Pakistan if it becomes ‘unstable’ in the future, albeit qualifying that North Korea was a more immediate threat than Pakistan because it was already “a rogue group with nukes”. This may be pre-election rhetoric but Xi will use all his charm and strategic pressure points for Trump to continue with the same benevolent posture that the outgoing Barack Obama administration maintained towards Pakistan. Xi would be confident that the ‘H.R.6069, the Pakistan State Sponsor of Terrorism Designation Act’, introduced in the US Congress on September 20, 2016 would likely not go through, but Trump is likely to take a harder stance than Obama to Pakistan’s double game; with all the evidence and admissions by Lt Gen Ahmad Shuja Pasha, former Director-General of Pakistan’s Inter-Services Intelligence; former President Pervez Musharraf and Michael Hayden, former CIA Director expressing frustration over Pakistan’s inaction against terrorist groups, particularly against al-Qaida, Taliban, LeT and the Haqqani network. These are among the questions our policy planners should be giving attention to. On Tuesday, for the second time in less than a month, Pakistani troops, apparently backing the terrorists trying to cross the Line of Control into the Kashmir Valley, beheaded an Indian soldier of the Rashtriya Rifles in the Machil area of Kupwara district in north Kashmir. The Indian Army has vowed “heavy retribution”. 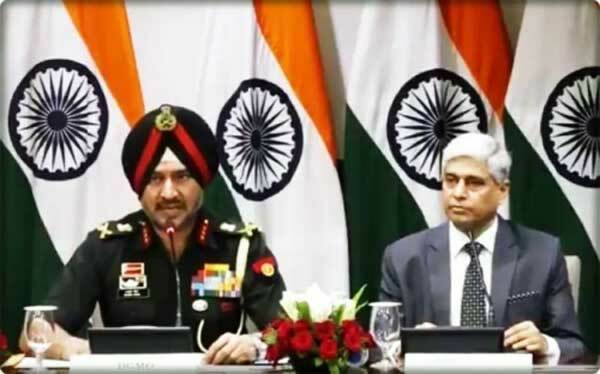 Whatever that may lead to, it is evident that the LoC has been live since the terrorist killing of Indian soldiers at Uri on September 18, 10 days after which India launched a “surgical strike” to deter LoC violations by terrorists backed by the Pakistan Army. It is plain, though, that the high-profile manoeuvre has had little desired effect, for LoC violations — the attempt to infiltrate militants into Kashmir — have become an almost everyday affair since then. The ceasefire agreement signed by Pakistan in December 2003 is also being observed almost entirely in the breach. The cross-border attacks in September were hailed as a new direction for India’s Pakistan policy — but bar some careful thinking, it could easily lead to a bloody cul-de-sac. Thirteen years after India and Pakistan agreed to a ceasefire that was meant to prepare the ground for peace in Jammu and Kashmir, both countries are locked in savage skirmishes that threaten to unleash a fresh storm over the Himalayas. The tragic killing of 11 bus passengers in Pakistan-occupied Kashmir on Wednesday, preceded by savage attacks on Indian troops and counter-attacks across the Line of Control (LoC), could set the stage for a resumption of the great duels which raged from 1989 to 2003. Hundreds of civilian and military lives were lost for no military end during that period. Prime Minister Narendra Modi will soon be confronted with two difficult choices. He could, first, tamp down the crisis by seeking to raise the costs for Pakistan army to levels which would threaten its standing among Pakistan’s population as the state’s praetorian guard — potentially by seizing small bits of territory along the LoC, as some Indian generals advocated after Kargil, or hitting terror positions deep inside Pakistan-occupied Kashmir. Such actions, however, pose the risk of escalating into war, and undoing the prime minister’s economic objectives. The second option is to give diplomacy another chance to resolve the crisis. But if it fails, the prime minister could find India more vulnerable than before to terrorist attacks, and his own core constituency alienated. India is conducting a big test of the idea that getting rid of cash can help address crime and corruption. Unfortunately, it might achieve nothing more than a lot of inconvenience. Criminals and corrupt officials often conduct business in cash, because it's hard to trace. So in a sense it’s logical to assume that abolishing cash will help reduce criminal activity. Scandinavian countries such as Norway and Sweden, after all, have extremely low cash usage rates and also lead the world in the lack of perceived corruption. This rationale has led Indian Prime Minister Narendra Modi to declare a surprise cancellation of the nation’s two highest-denomination notes, effectively invalidating 86 percent of total currency in circulation. Anyone with outstanding notes must either deposit them in a bank -- potentially incurring a tax -- or exchange them for replacements in strictly limited sums. The move has already proven immensely disruptive, though not entirely to criminals. In a country where most transactions are conducted in cash, many people have been unable to pay fornecessities like food or medical services. Banks have had to work overtime to handle the exchange, bringing other financial services to a halt. It's certainly likely that the sheer trauma will leave people less keen to hoard rupees, creating a big incentive to move economic activity out of cash and into banks. 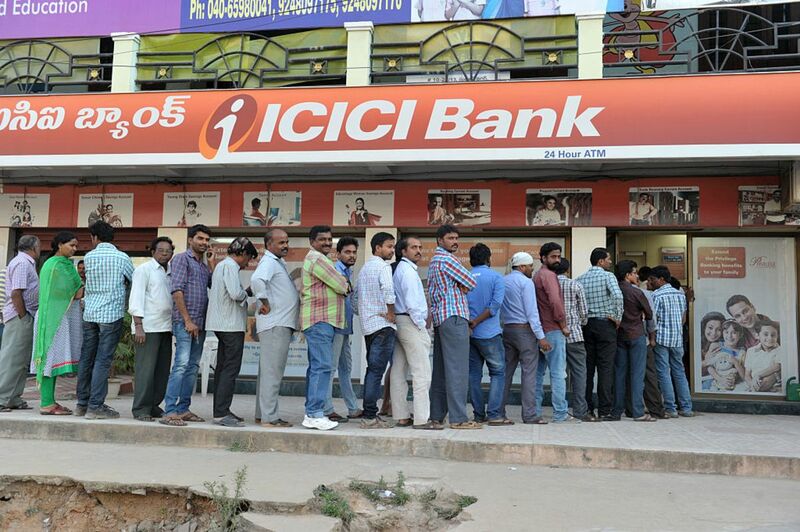 Except that a huge number of Indians don’t have a bank account. The fragile security environment in Southern Asia is marked by territorial disputes and radical extremism, among other threats and challenges to peace and stability. The security environment has been further vitiated by the proxy war being waged against India (and against Afghanistan) by the Pakistan army and the ISI – the ‘deep state’ – through terrorist organisations like the LeT and the JeM. While the perpetrators of the terrorist attacks at Mumbai in November 2008 are still to be brought to justice by the authorities in Pakistan, recent terrorist attacks in India have occurred at Gurdaspur, Udhampur, Pathankot, Pampore and Uri. India’s patience had worn thin and the public outcry to punish Pakistan was growing by the day when the Indian army launched surgical strikes across the LoC in September 2016. In case there is a major terrorist strike in India (on a politically sensitive target, with damage to critical infrastructure and large-scale casualties) with credible evidence of state sponsorship from Pakistan, the Indian government will have no option but to retaliate militarily. Though the Indian response will be carefully calibrated, any military retaliation runs the risk of escalation to a larger conflict with nuclear overtones. Most Indian analysts believe that there is space for conventional conflict below the nuclear threshold as long as care is taken to avoid crossing Pakistan’s nuclear red lines (space, military, economic and political). Pakistani analysts aver that Pakistan has a low nuclear threshold and that Indian forces ingressing into Pakistani territory will be confronted with tactical nuclear weapons (TNWs) to stop their advance and force them to retreat. Prime Minister Narendra Modi paid a three days visit to Japan from 10–12 November 2016, as part of the Annual Bilateral Meet with Japanese Prime Minister Shinzo Abe. This was the third bilateral meeting as part of the ‘Special Strategic and Global Partnership’. It was also the second visit of Prime Minister Modi to Japan and the eighth bilateral meet between the two leaders in three years. In the last Annual Bilateral Meet held at New Delhi in December 2015, the two leaders had outlined a ‘Vision of Working Together for Peace and Prosperity in the Indo-Pacific Region and the World’. The signing of the Agreement for Cooperation in Peaceful Uses of Nuclear Energy on 11 November was an important milestone. Though the deal will have to go through the process of approval of the Diet (Parliament), the signing of the Agreement displays a mature understanding of the Indian position by Japan with regards to nuclear energy, in contrast to the stand taken after the 1998 nuclear tests when Japan had led a vociferous campaign against the tests conducted and was quick to apply sanctions. India will be the only non-NPT signatory with whom Japan has signed the civil nuclear deal and this speaks volumes of the initiative taken by the Abe government. This agreement is important to both countries. India has presently signed civil nuclear agreements with 11 other countries; Argentina, Australia, Canada, France, Kazakhstan, Mongolia, Namibia, Russia, South Korea, the United Kingdom and the United States. Apart from Russian reactors, most of the planned nuclear projects depend on Japanese components. Today, the largest and best-known supplier of heavy forgings (required for components of nuclear plants) is Japan Steel Works (JSW) which claims 80% share of the world market. This nuclear deal will facilitate companies having major Japanese investments to set up nuclear projects in India. For Japan, especially after the Fukushima disaster, it will provide a vast new market for nuclear projects. This agreement will strengthen energy security, facilitate the development of nuclear power projects in India, promote clean energy partnerships and combat the challenge of Climate Change. Making large and fast planes requires high technology. Such planes are enormously useful in war; from thousands of feet above ground, they can rain bombs that kill off people and reduce buildings and machines, ports and airports to rubble. Wright brothers' invention of the aeroplane in 1903 was followed before long by World War I, which provided a market for fighters and bombers as well as resources for their development from countries battling for survival. A byproduct of the aircraft industry was the first airlines: by 1920, there were a couple of dozen airlines flying in the United States of America and Europe. The next technological boost came from World War II. Germany did severe damage to London with its Stuka fighters; but Britain developed the radar, which gave the Allies a considerable advantage, especially in night raids. British and American bombers reduced Germany to a vast junkyard. The thousands of planes that served in the war were propeller planes. Both Allies and Nazis worked on jet planes during the war, but did not produce them in numbers or make them operational. When peace returned in 1945, air forces stopped buying big planes; their makers had to find other markets for the jet planes they developed. BOAC started flights from London to Johannesburg with de Havilland Comet, but the model crashed a number of times and was withdrawn. Boeing 707, introduced in 1958, was the first passenger jet plane that had all defects ironed out; it led to a succession of models - 737, 747, 777, 787 et al. The British, threatened by German bombs, had transferred transport aircraft manufacture to the US in 1942; and the aircraft industry of Germany died with its defeat in 1945. Americans ruled the roost, and the European aircraft industry was in danger of dying. In 1965, European airlines met at the Paris air show and discussed a model passenger plane for which they might pool their orders. The Pakistani military is just one factor in a complicated system. The year 2008 marked the beginning of Pakistan’s third democratic transition. Next year, it will enter its tenth year, as the second civilian government, of this transition, limps toward completing of its five-year term in mid-2018. It will be a symbolic milestone for Pakistan’s evolving democratic process and its checkered constitutional history. In retrospect, the first democratic transition (1973–77, the era of socialist-populist democracy) took place when Zulfiqar Ali Bhutto became Pakistan’s prime minister, after the dismemberment of the former East Pakistan (present Bangladesh). In 1977, the military dictator Gen. Zia-ul-Haq overthrew Bhutto’s government in a military coup; later Bhutto was given a death sentence in a murder case. The 1990s, the era of electoral democracy, marked Pakistan’s second democratic transition when four civilian governments (two each from the leading parties, PPP and PML-N) ruled the country consecutively. However, their stints were cut short on one pretext or the other, until then army chief Gen. Pervez Musharraf imposed martial law in October 1999. Like the first two democratic transitions, the third—the era of democratic consolidation—has also been turbulent and prone to crisis. According to Samuel P. Huntington, a budding democracy goes through two stages to become a mature democracy: the power transition and a consolidation phase. Pakistani democracy in its current form can be categorized somewhere between transitioning and substantive democracy. The power transition in Pakistan has been smooth; however, the consolidation phase has been bumpy. The democratic consolidation requires functional civilian institutions, competent bureaucracy, strong and robust opposition, political choice, a vibrant civil society, and better socioeconomic conditions. A report on the August 24, 2016 terrorist attack on the American University of Afghanistan (AUAF) highlighted critical security problems. Terrorists easily forced their way into the school, killing twelve people and injuring forty-four others. The attack was another catastrophic incident for the country. Despite ongoing risks, AUAF is reopening, but only after receiving special permissionto hire its own security instead of relying on the government’s mandated security organization. AUAF learned a costly lesson about the value of quality security. Unfortunately, international investors evaluating Afghanistan look elsewhere, as they do not have the option to hire professional private security. In global conflicts, the stabilizing rule of thumb is that security is 90 percent of the problem, and 10 percent of the solution. Development, investment, reconciliation and other crucial undertakings are not possible without adequate security. A rethinking of the way private security is regulated in Afghanistan would spur enormous international investment. In recent years, Afghanistan has had enormous achievements in finalizing regional trade and energy agreements, such as the Turkmenistan, Afghanistan, Pakistan and India (TAPI) pipeline, CASA-1000 (the Central Asia–South Asia power project), and the Chabahar Port. However, implementation has been slow, due to security concerns over protection of the routes through Afghanistan. The TAPI gas pipeline, a $10 billion regional project, for instance, has been delayed due to security concerns in Afghanistan. Nobel laureate Rudyard Kipling argued in “The White Man’s Burden” that it is the moral responsibility of the superior white race to occupy lands populated by people who are “half-devil and half child” and to rule over them for their own good. He implied that the purpose of Western colonialism and U.S. imperialism was not to amass wealth and power, but rather, to civilize savages and lead them in the process of building a grand society. Similarly, the Chinese regime has taken upon itself the burden of guiding the whole world in the process of jointly achieving a prosperous, harmonious and unified order. The fundamental difference is that Chinese intentions are mostly genuine. Beijing believes that its superior civilization provides the leadership with the necessary skills to lead mankind in the process of building a utopian world order, known by Chinese since ancient times as Tianxia. A widely accepted translation of Tianxia is “all under the heaven,” referring to the union of all the lands and peoples on earth. It is worthwhile to note that historically, the gods did not appoint Chinese emperors to rule just over a limited region of the world such as the Central Kingdom, but over Tianxia, over all the lands and peoples under the heaven. Hence, uniting the whole Chinese Empire would result in its frontiers overlapping “the limits of the Universe,” i.e. the whole earth. Additionally, for the full establishment ofTianxia, the emperors had also to achieve “a universal agreement in the hearts of all people,” a common identity, and a global institution to grant “universal order.” For this reason, Chinese emperors were fixated with achieving unity – territorial, political, social, cultural unity – to turn the chaotic world into the utopian Tianxia. In the wake of a uniquely unpredictable U.S. election, international relations scholars are now trying to predict how a Donald Trump administration will affect American foreign policy. The president-elect’s repeated criticism of Chinese trade policy during the campaign has brought even more attention to the crucial U.S.-China relationship. Regardless of the president, a fragile Chinese economy is entering a tense phase, and Trump's election suggests that American domestic economics are likely to further raise the stakes. Until recently China had been alarmed at the possible passage of the Trans-Pacific Partnership, or TPP, which could put them at a trading disadvantage compared to member states. Trump -- who pledged to abandon TPP during his campaign -- has no doubt eased more than a few minds in Chinese policymaking circles. Unfortunately, the real estate mogul’s willingness to abandon the TPP reflects lower support in the United States for free trade, which is just as bad for China. China's economy is still heavily reliant upon exports, especially exports to the United States. Diminished returns from free trade will put increased pressure on China's already weakened economy, and the likelihood of civil unrest in the country will increase. China is a large economy, mostly by virtue of its population. GDP per capita remains just below $8,000, and that GDP is not equally distributed, meaning the common Chinese has little wiggle room before economic contraction becomes catastrophic. Put simply, China can ill afford to reduce exports. Aside from Hillary Clinton, the biggest loser in our presidential election was Mexico. In the winning campaign narrative, the United States exports jobs to Mexico, and Mexico exports poverty and crime to the United States, casting our relations with Mexico in zero-sum terms. If Mexico is gaining, the United States must be losing; an unfair characterization, but to many Americans, not without an element of truth. Will the U.S.-Mexico relationship be treated as a major foreign policy objective for the new Trump administration, or will it be treated with benign neglect, as it has for the last several years? Initial signs suggest that President-elect Trump might prioritize Mexico, at least in the first part of his term. Two of Trump’s major proposals directly impact U.S.-Mexico relations: building a wall on the southern frontier and renegotiating the North American Free Trade Agreement (NAFTA). Hyperbole aside, these proposals address legitimate concerns. We have a sovereign right to control our southern border, and we can renegotiate—or walk away from—NAFTA at any time. But treating both initiatives in just U.S. terms might damage our solid relations with Mexico and undermine other important aspects of Trump’s agenda, such as improved law and order and making America energy independent. Therefore, maintaining a stable, prosperous and democratic Mexico must be a strategic priority for the United States. This cannot be achieved by maintaining the status quo. The U.S.-Mexico relationship has been a key feature of our geoeconomics—how we stay competitive with the rest of the world. But it needs to deepen. Mexico has real issues, with out-of-control violent crime and stalled democratic reforms. The United States can’t afford to ignore Mexico. As Afghanistan’s national security adviser continues to show his influence in the upper echelon of politics, feudal warlords are attempting to undercut that power, leveling false accusations against the politician. Hanif Atmar has been in the center of Afghan politics and decision-making at the highest level in post-Taliban era. He served as the Minister of Rural Rehabilitation and Development (2002-2006), Minister of Education (2006-2008) and Interior Minister (2008-2010) during the Karzai administration. He was regarded as “the most competent” anti-corruption cabinet member in Afghanistan by western nations. Atmar is one of the few technocrats at the highest level who rose to prominence solely through his leadership, management and effective strategy mindedness, while a majority of the rest of his fellow cabinet members were former warlords and had military power. Born in 1968, Atmar was also the youngest cabinet member in the period of 2002-2010. Days after taking office as president of Afghanistan, Ashraf Ghani appointed Atmar as his national security adviser. This was one of the initial political appointments made by President Ghani. Even though technically an adviser has no executive authority, Atmar has made his presence felt by leading National Security Council meeting sessions. He is now President Ghani’s go-to person because of his understanding of the domestic, regional and international politics. US President Barack Obama, who is enjoying his last days at White House as president, and his Russian counterpart Vladimir Putin met in Lima, Peru’s capital for around four minutes on November 20 at the APEC summit in what is likely to be their last in-person meeting before Obama leaves office. The two leaders met at the start of the summit meeting and reportedly briefly discussed about Syria and Ukraine. They exchanged pleasantries and remained standing as they spoke. President Obama later said at a news conference he told Putin the USA is deeply concerned about bloodshed and chaos in Syria “sown by constant bombing attacks” by the Syrian and Russian militaries, and that a ceasefire and political transition were needed. “As usual I was candid and courteous but very clear about the strong differences we have on policy,” Obama said. Information sharing has come under increased scrutiny in the context of interbank lending, foreign exchange markets, and US Treasury auctions. This column explores the benefits and drawbacks of information sharing by dealers in US Treasury auctions. Information sharing is found to benefit first and foremost the issuer, i.e. the Treasury. The model provides insight on auction revenue, risk-sharing, and the decision to bid through a dealer, with information sharing having a sizeable effect on each. Recent financial market misconduct in the interbank lending (Libor) and foreign exchange markets – involving misuse of information about clients’ orders – has prompted legal action, incurred record fines, compromised reputations, and prompted international initiatives to curb information sharing. In US Treasury auctions, where trillions of dollars are sold each year largely to, or through, a small set of primary dealers, the use of information has similarly come under increased scrutiny (Bloomberg 2015). While it may all sound straightforward, it is in fact not obvious who is harmed when information is shared. Regulatory initiatives to curb information sharing in Treasury and other markets attempt to protect clients from harm, but we find that information sharing among dealers creates value for investors and improves risk-sharing. Investors are harmed from information sharing not when dealers exchange information with other dealers, as one may suspect, but when dealers share information with other investors. For the Treasury, information sharing can boost auction revenues, an effect that we estimate in the order of about $4.8 billion per year. This increased revenues come at a cost of increased revenue volatility and risk of a failed auction, which is when revenues fall well below expectations. WASHINGTON, DC – If Middle Eastern countries do not start making real progress on fundamental political and economic reforms, further regional turmoil is inevitable. With the rentier systems that governments have maintained for decades now at a breaking point, policymakers must begin the difficult, but not impossible, process of establishing new social contracts. That contract in Arab countries started to erode at the turn of the century, when governments with inflated budgets and bloated bureaucracies could no longer provide an adequate supply of basic services such as health care and education, create a sufficient number of jobs, or sustain food and fuel subsidies. But, despite diminished state benefits, most leaders have continued to insist that their countries’ people uphold their end of the contract by not participating meaningfully in public life. Arab governments were able to sustain inefficient economies for decades because they were propped up by oil revenues. In recent decades, most Arab countries have benefited in some way from the Middle East’s abundant oil and gas reserves. Hydrocarbon-producing countries used their profits to buy their citizens’ loyalty and establish what were effectively welfare states; and non-oil producers enjoyed the benefits of aid, capital inflows, and remittances sent back by their nationals working in resource-rich countries. Trotsky, the one-time close comrade of Lenin, reportedly said, “You may not be interested in war but war is interested in you”. Donald Trump’s election victory left Southeast Asia feeling uncertain about the future. Rhetoric from his campaign trail suggests a future of isolationism and protectionism. ASEAN states, which have long depended on the United States to hedge against China, need to strengthen ASEAN centrality. Since Donald Trump’s stunning victory in the US presidential elections, experts have speculated on what a Trump administration means for the Asia Pacific. As Trump’s policies were never clearly outlined, the Asia Pacific countries are struggling to formulate a sensible response. A sense of unease is rippling throughout the region as Asian leaders wonder what the next four years will bring. One can get some sense of Trump’s Asia Pacific strategy by examining his campaign rhetoric; unfortunately, the direction of Trump’s policies does not bode well for Southeast Asian states. However, beneath the pessimism and doomsday scenarios may lie an opportunity for ASEAN. Donald Trump’s campaign was rife with hyperbole and vague positions, making it difficult to identify any concrete policies towards Asia. In fact, the only time Southeast Asia was ever mentioned was in tirades against job theft. We do know, however, how he feels about certain issues in the region. (FPRI) — President-elect Donald Trump is in the midst of selecting his national security team. He not only needs to decide the “who,” but also the “how” of national security decision-making. It is unclear whether he will adopt Ronald Reagan’s model of entrusting empowered Cabinet secretaries to handle such matters; follow in Richard Nixon’s footsteps of retaining close control over foreign policy within the White House through the National Security Advisor; or emulate George H.W. Bush’s hybrid “gang” blending both White House staff and senior officials. Trump ran on a platform which decried the apparent inability of the U.S. government to crush terrorism and the supposed ineptitude of U.S. officials who were outmaneuvered at the negotiating table by allies and adversaries alike. Alongside his critique, he intimated that with a “dealmaker” in the White House, things would change. But it is unclear how his team will translate campaign slogans into governing principles. Director of National Intelligence James Clapper told Congress on Thursday that the joint statement between his office and the Department of Homeland Security attributing the cyber hacks of U.S. political entities has engendered a curtailing of Russian hacking activity. When asked to clarify this assertion, Clapper said: “I was referring to the cyber reconnaissance that we had observed — many state entities had observed prior to the statement. That sort of activity seemed to have curtailed." “I don’t anticipate a significant change in Russian behavior,” he said, adding that the Russians have a very active and aggressive capability to conduct information operations, or so-called hybrid warfare, which has been a longstanding practice of the Russians dating back to the Soviet era and something he anticipates will continue. Clapper offered a similar conclusion in August at the Aspen Security Forum saying philosophically this isn’t much different than what occurred at the height of the Cold War — that is, influencing political discourse on both sides — and that cyber for Russia just represents another tool. Those who have talked recently with South Korean foreign-policy and national-security experts will have noticed that they are quite apprehensive. There are at least three explanations for this. The ongoing political controversy around President Park Geun-hye is one. South Koreans in the know certainly have differing views on whether their president’s predicament will affect their country’s stability. As some see it, the mere fact that she is being been held accountable demonstrates that democracy has sunk deep roots in South Korea. Others are leery, however, and not just about the possibility of a crisis within South Korea. They are also concerned that North Korea might exploit the South’s political turmoil, possibly through a military challenge of some sort. Seoul’s political class and national-security establishment incline toward a standard, predictable view of their northern nemesis. They see it as militarized, menacing, opaque, wildly unpredictable, even irrational. They point to its numerical advantage in military manpower and most categories of conventional weaponry, and to its nuclear weapons and arsenal of ballistic missiles. And they stress that Pyongyang’s pugnaciousness and military might leave South Korea exposed and vulnerable. In their eyes, people who discount the North Korean threat typically have the luxury of living far away or are ill informed—perhaps both. 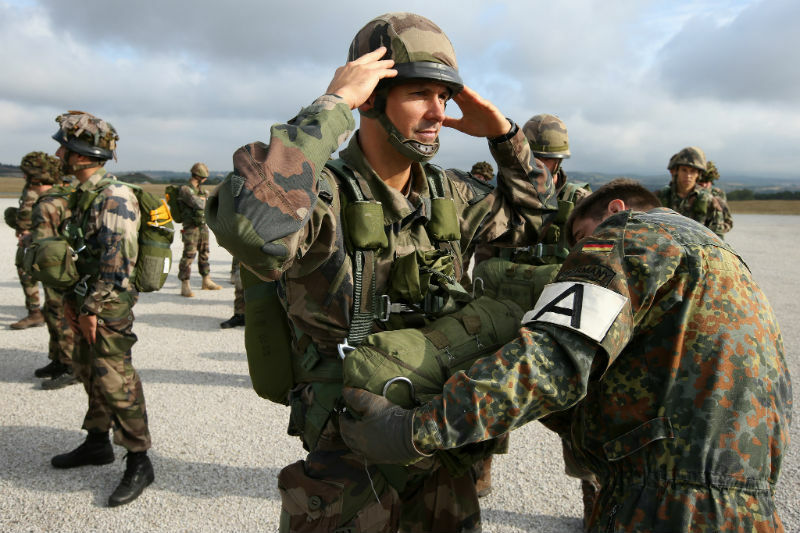 The German Federal Ministry of Defence’s 2016 White Paper came with some sober assessments on the state of European and wider international security challenges. As Claire Apthorp finds out, peace and stability are no long a matter of course, even in Europe. A number of issues borne of this growing instability now pose a threat to Germany’s security: the migrant crises and resulting quick growth in Germany’s population, Islamist terrorism, the cyber challenge, and the shift in relationships with international partners, namely Russia, which is “rejecting a close partnership with the West and placing emphasis on strategic rivalry… presenting itself as an independent power centre with global ambitions,” according to the white paper. Germany’s security is based on partnerships - a strong North Atlantic Alliance in NATO and a united European Union are fundamental to the nation’s security policy. In order to maintain and grow these partnerships – and take a more leading role within them - the white paper identifies a number of areas where this policy can be shaped to better suit the wider, less stable global context that Germany faces as it looks toward the third decade of the 21st century and beyond. The white paper heralds a more active Germany that recognises the need to be more proactive in its own defence and that of its allies. Many welcome this change in tone. Since its reunification Germany has continued to be hesitant about the use of its military power, particularly in securing its own interests. The alliance faces two possible paths ahead. One is disintegration. “Wouldn’t it be a wonderful thing,” then-presidential candidate Donald Trump mused in August, “if we actually got along with Russia and worked out some kind of deal where we go and knock the hell out of ISIS along with NATO and along with the countries that are in that area?” At other times, however, Trump publicly imagined himself engaged in a very different NATO initiative. Under this scenario, he would denounce America’s European allies as freeloaders and force them to accept a deal requiring them to pay a much bigger share of the alliance’s defense burden. On first glance, these two initiatives don’t seem mutually exclusive, and Trump will be tempted to pursue both of them once he becomes president. But he’ll soon discover that he can’t have it both ways, and it is all too likely that his partnership with Russian President Vladimir Putin will lead to the dramatic weakening of NATO. As they announce their alliance in the Mideast, the two strongmen solemnly declare that they will also extend their détente to Eastern Europe, where military tensions have recently been escalating. Since Russia’s invasion of Ukraine, its air and naval forces have been engaging in a series of hostile incursions along the European frontier. In response, NATO has launched its own build-up—to the point where it will be placing St. Petersburg within firing distance of short-range missiles (that could carry nuclear warheads). 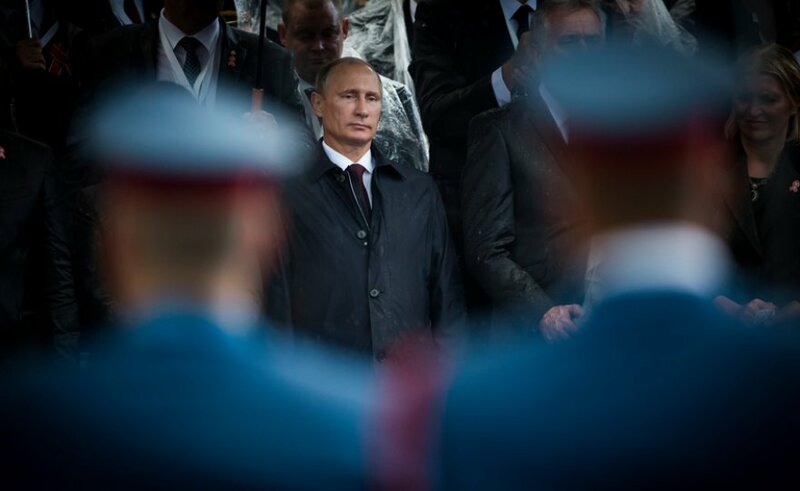 Given their Mideastern partnership, it would only make sense for Putin and Trump to call a halt to this dangerous escalation, and announce their intention to engage in future confidence-building measures. This year, the adage that “falsehood flies and the truth comes limping after it” doesn’t begin to describe the problem. That idea assumes that the truth eventually catches up. There’s not much evidence of this happening for the millions of people taken in by the fake news stories — like Pope Francis endorsing Donald Trump or Mr. Trump pulling ahead of Hillary Clinton in the popular vote — that have spread on social media sites. Most of the fake news stories are produced by scammers looking to make a quick buck. The vast majority of them take far-right positions. But a big part of the responsibility for this scourge rests with internet companies like Facebook and Google, which have made it possible for fake news to be shared nearly instantly with millions of users and have been slow to block it from their sites. Mark Zuckerberg, the founder and chief executive of Facebook, has dismissed the notion that fake news is prevalent on his platform or that it had an influence on the election. 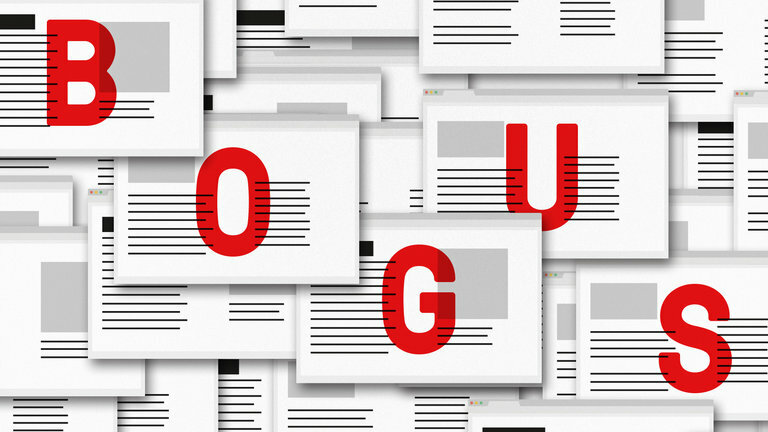 But according to a BuzzFeed Newsanalysis, during the last three months of the presidential campaign, the 20 top fake news stories on Facebook generated more engagement — shares, likes and comments — than the 20 top stories from real news websites.